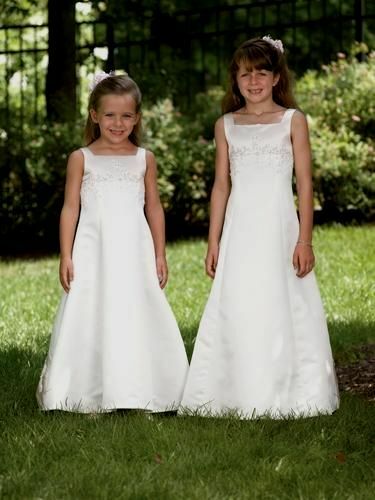 First Communion dresses and white suit. 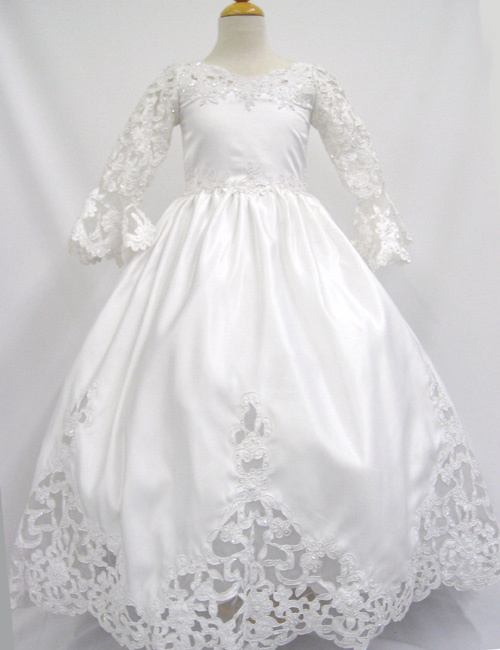 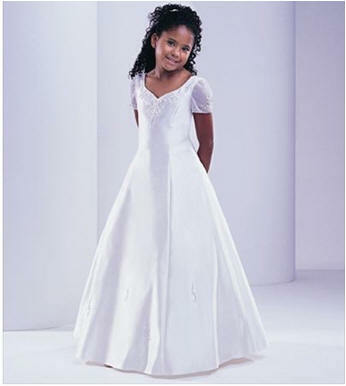 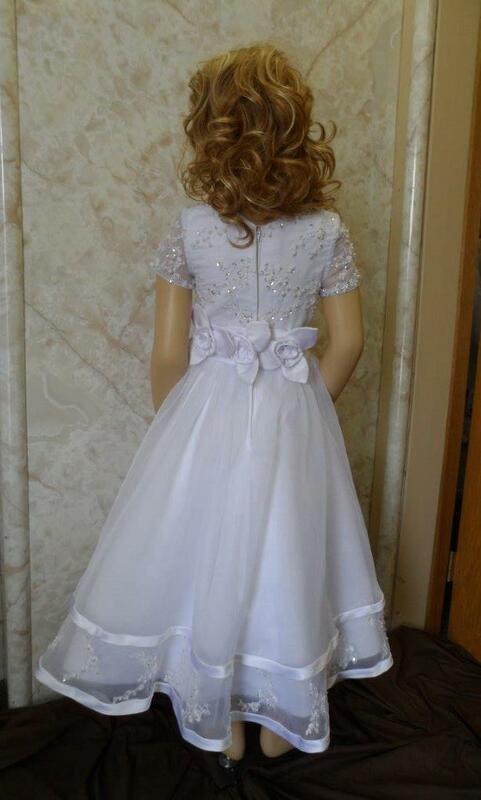 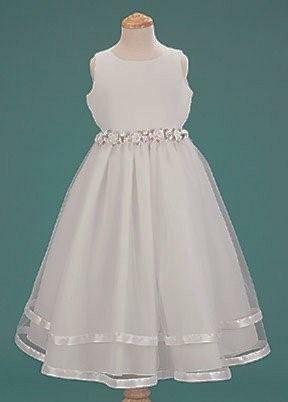 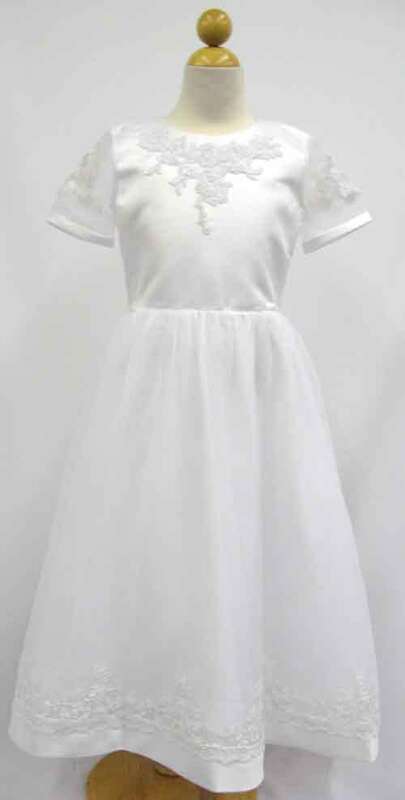 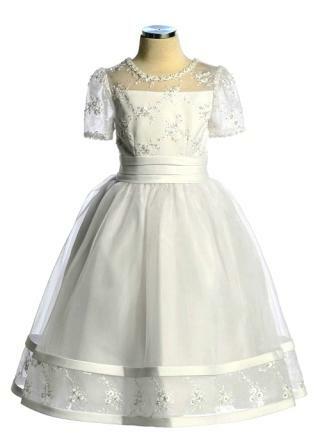 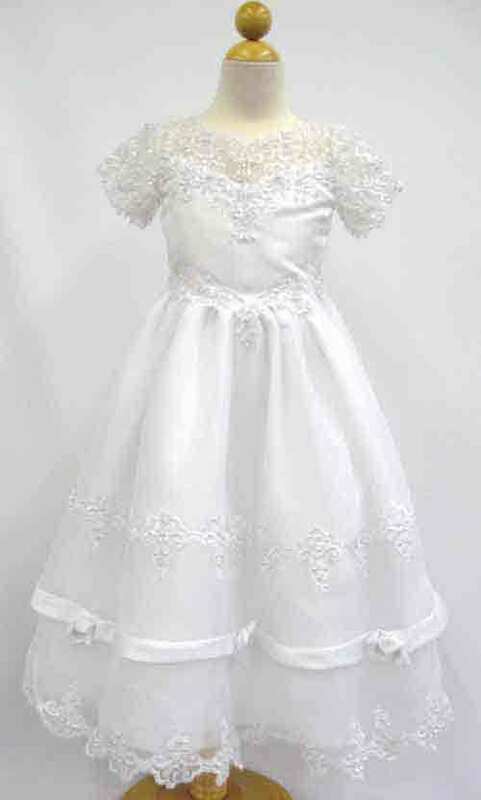 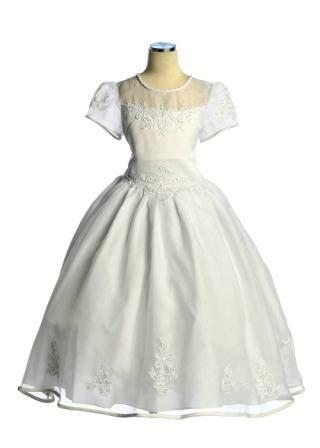 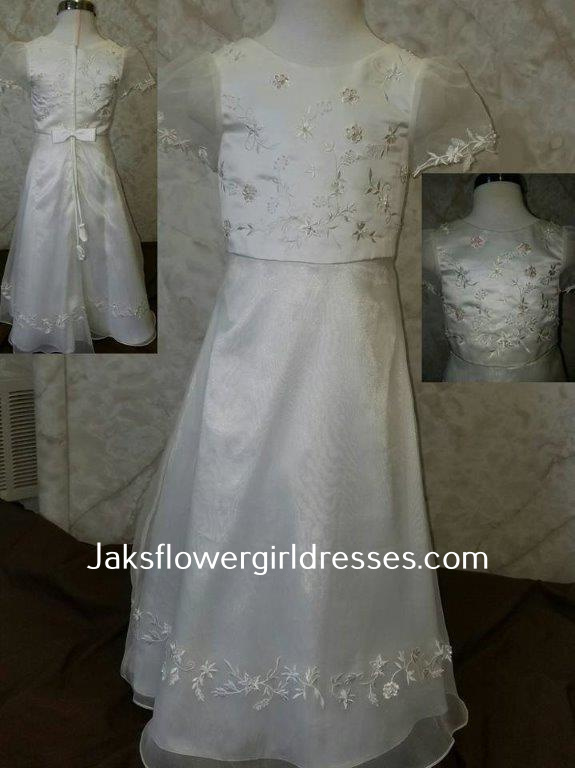 Communion dress, confirmation dress or white suit for your children's Christian event. 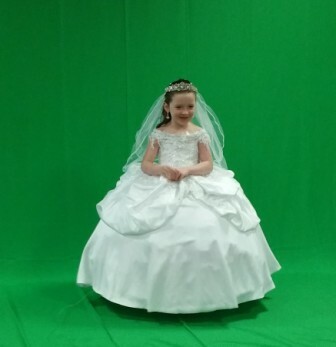 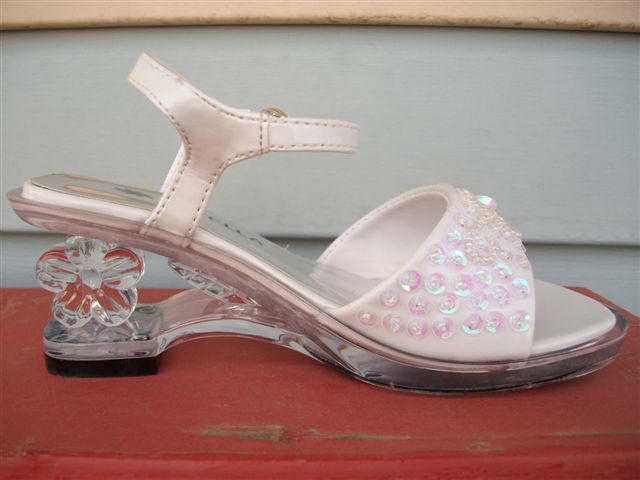 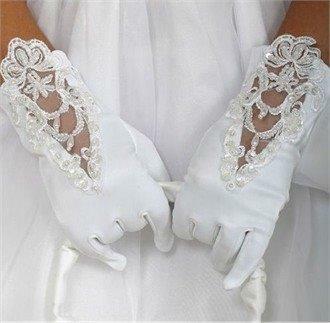 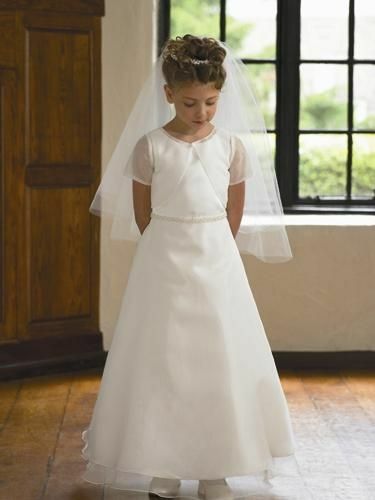 Make Your Child's First Holy Communion Special! 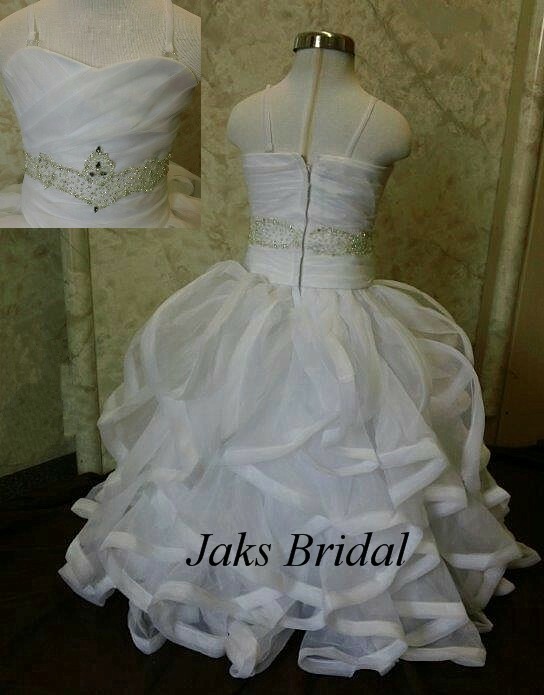 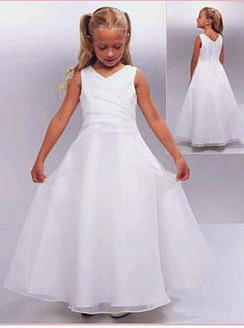 All of these custom dresses can be made in White in any custom size. 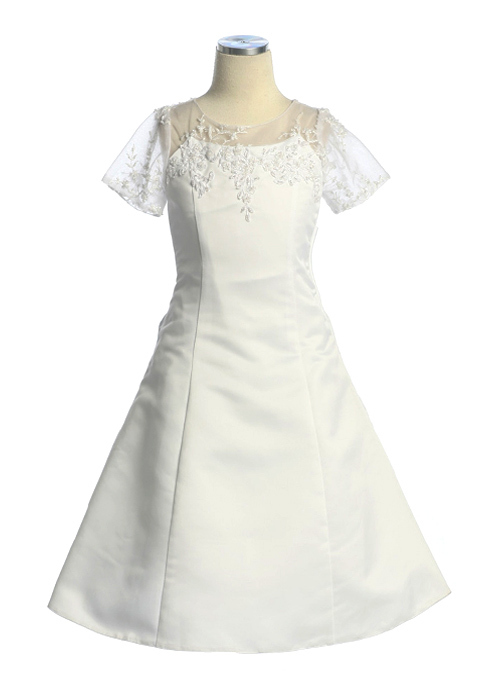 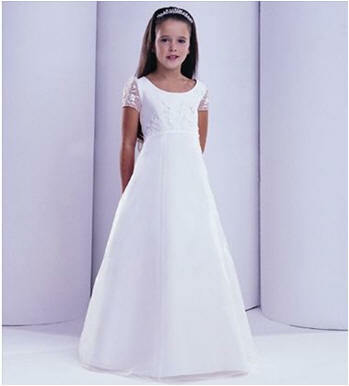 girl's communion dress is elaborately designed with ribbons, roses, delicate lace and covered buttons. 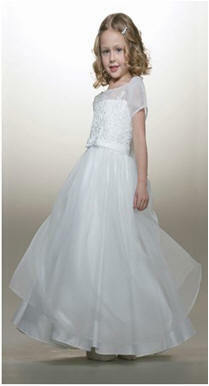 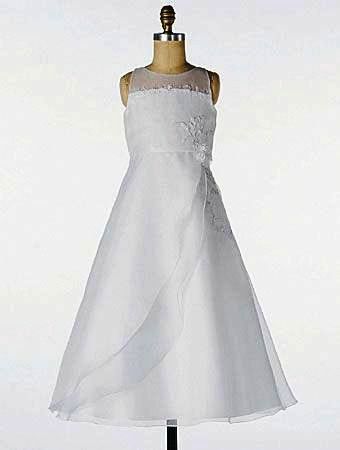 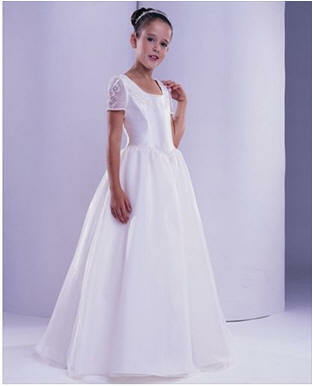 Taffeta dress, ruched bodice, beaded lace, scattered appliques, sweep train. 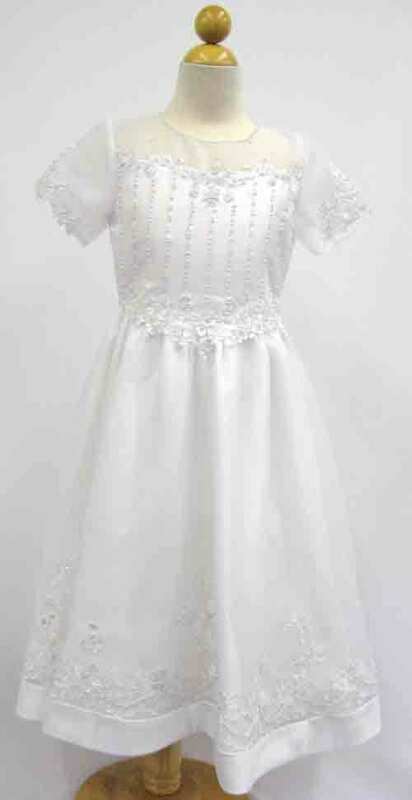 Long sleeve bolero jacket with beaded cuff. 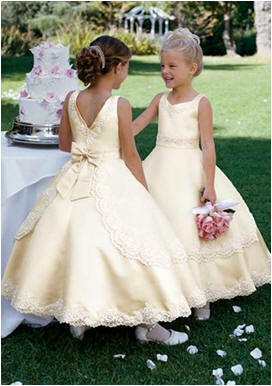 Girls, Preteen & Women's light Champagne Dress. 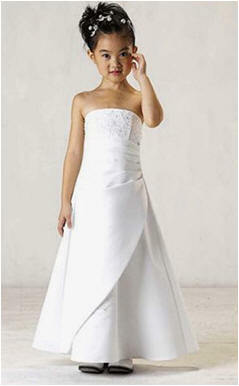 White sleeveless bodice with a sheer neckline, and a side draped skirt. 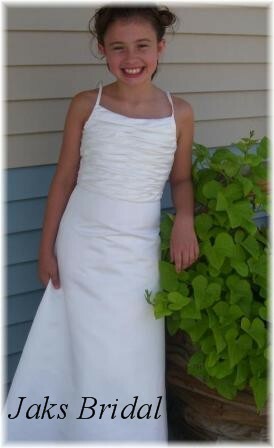 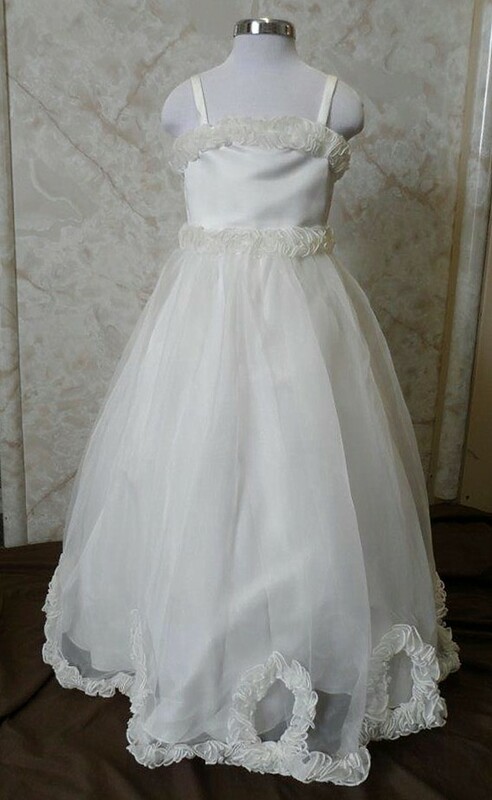 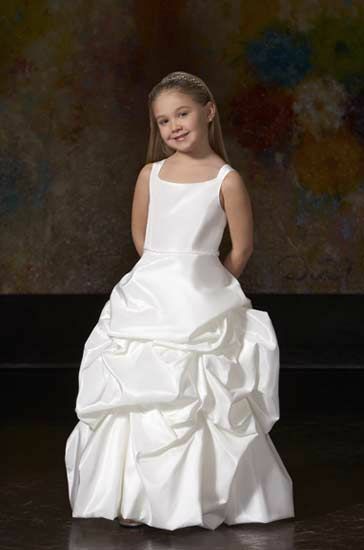 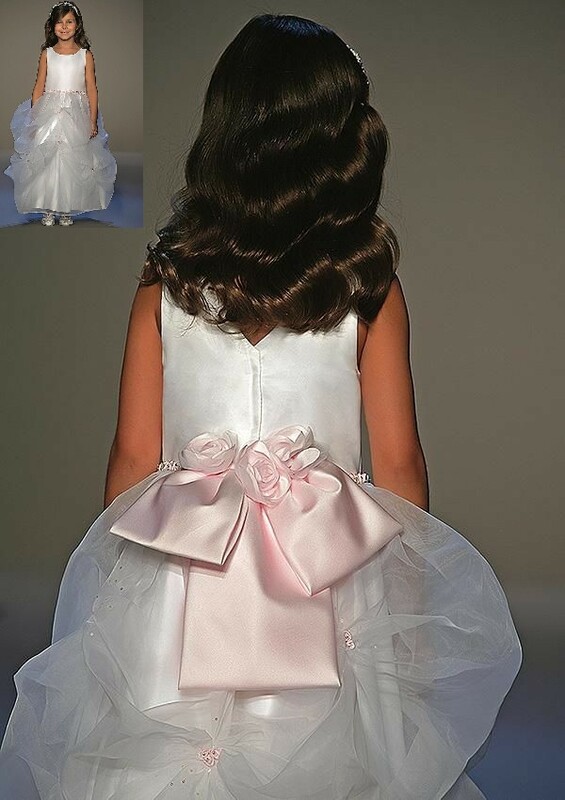 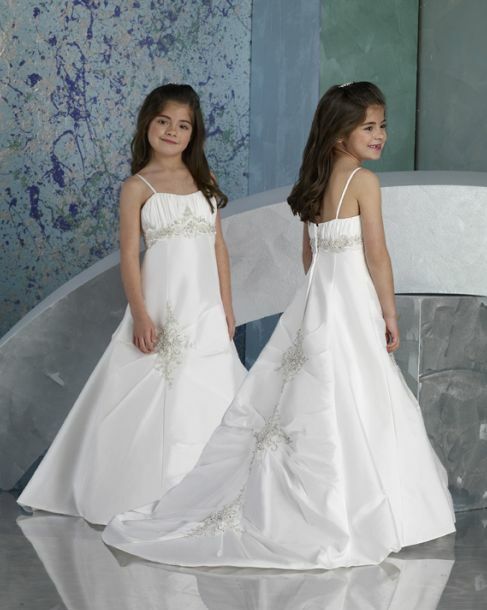 Sleeveless draped bodice long flower girl dresses. 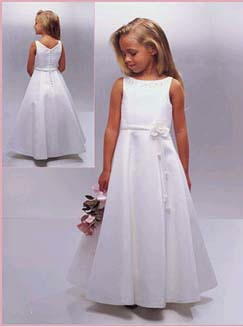 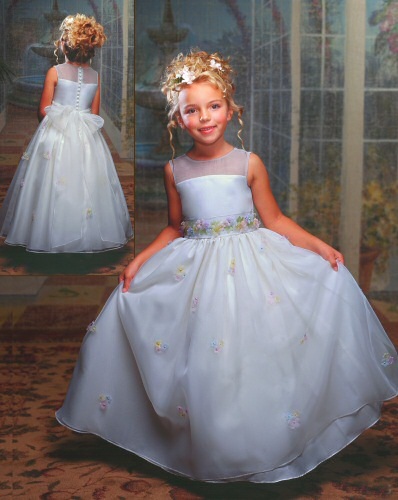 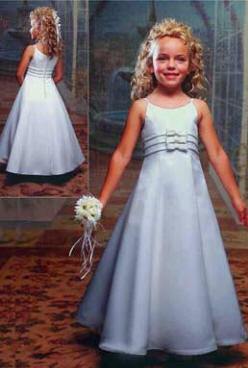 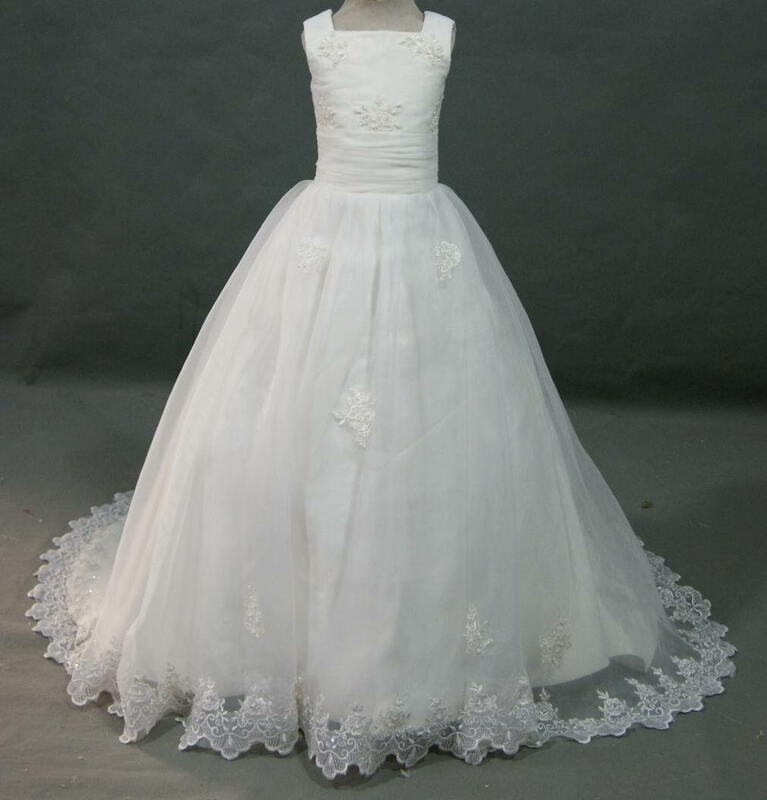 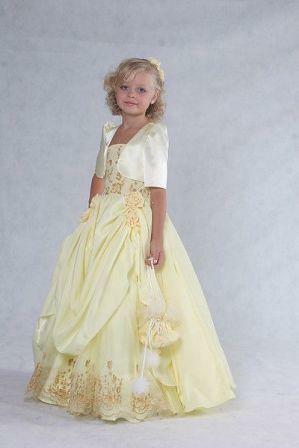 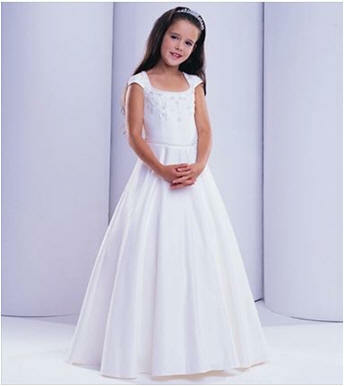 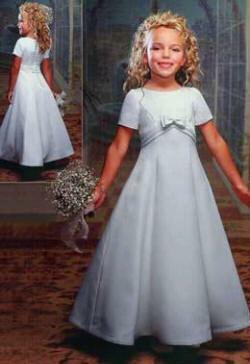 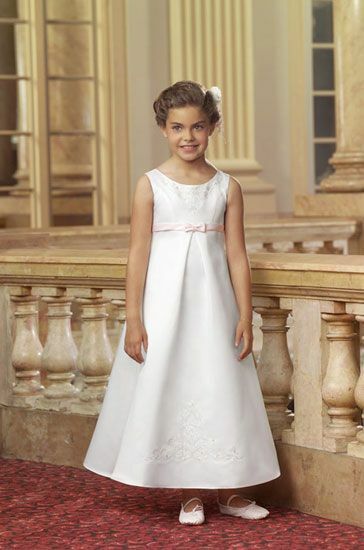 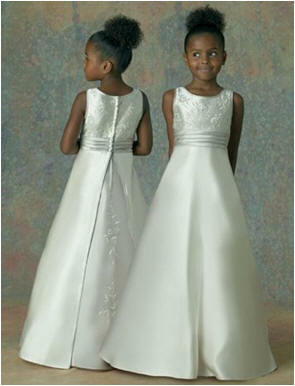 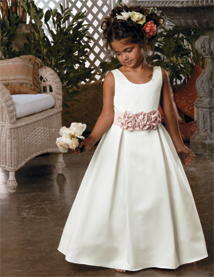 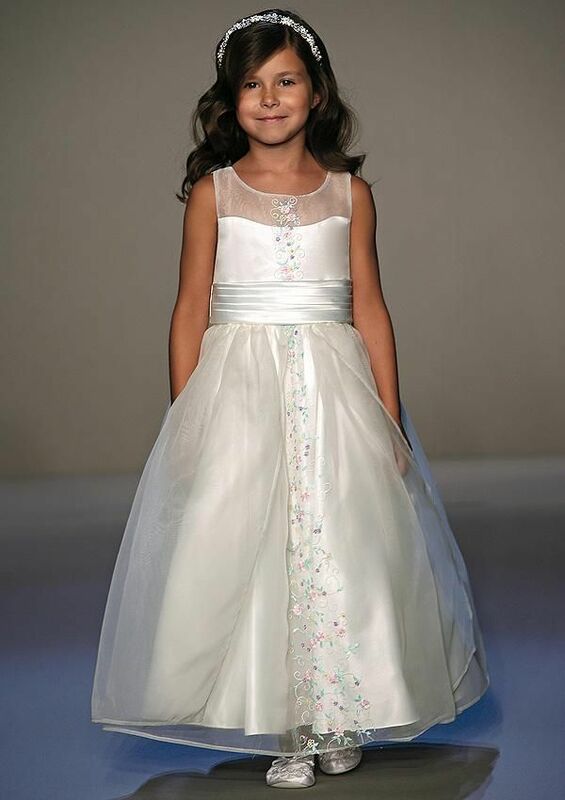 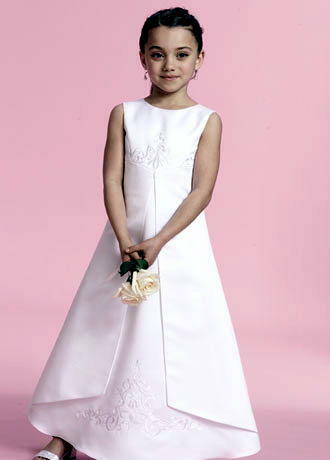 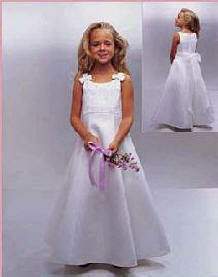 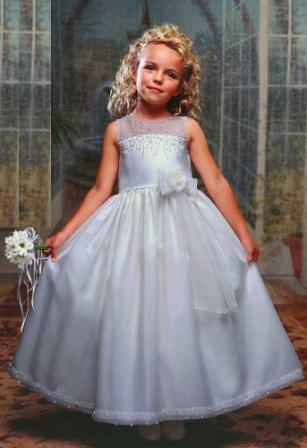 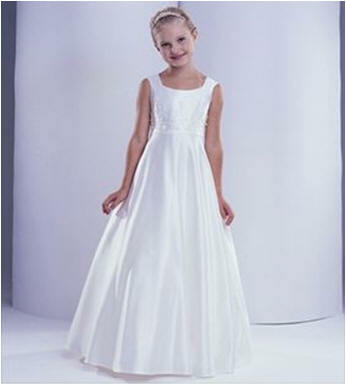 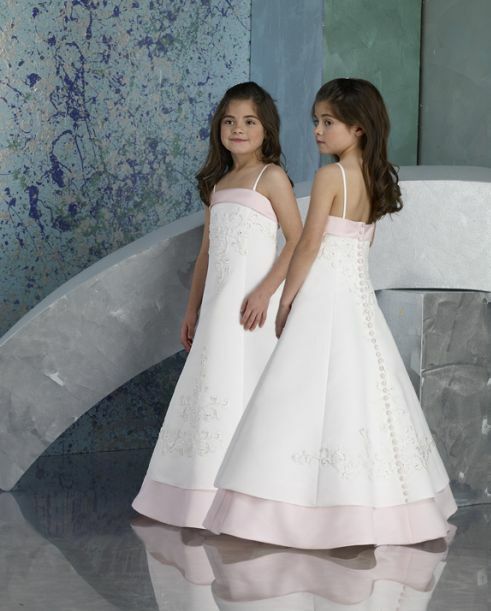 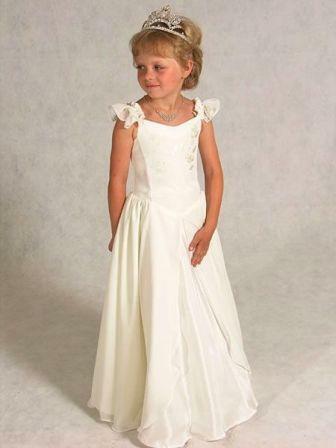 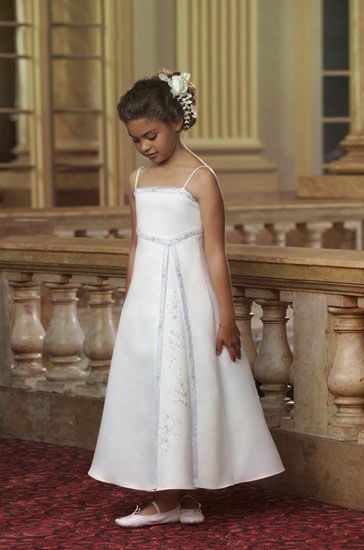 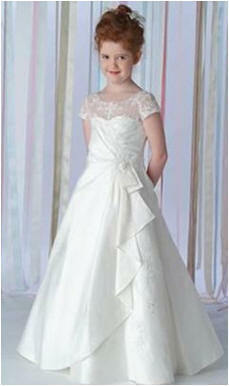 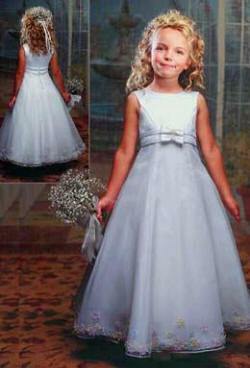 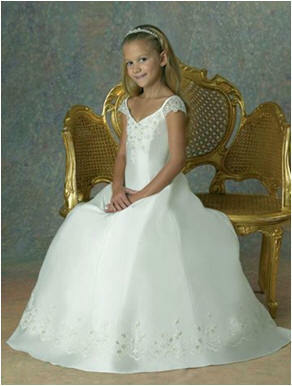 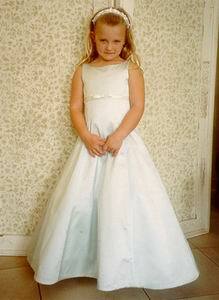 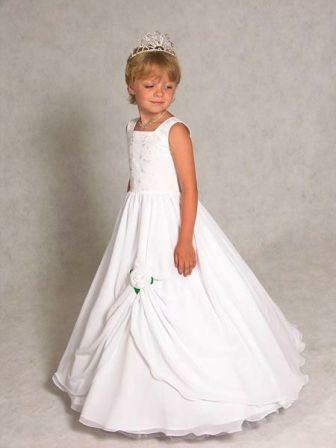 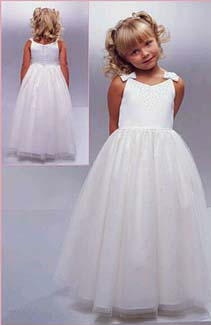 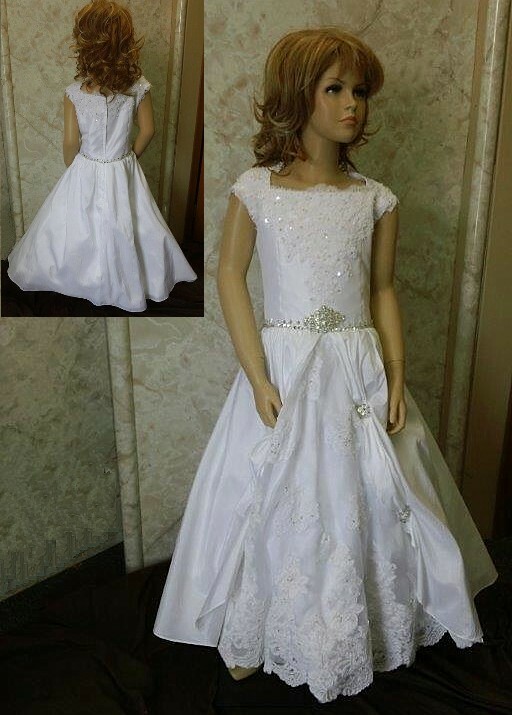 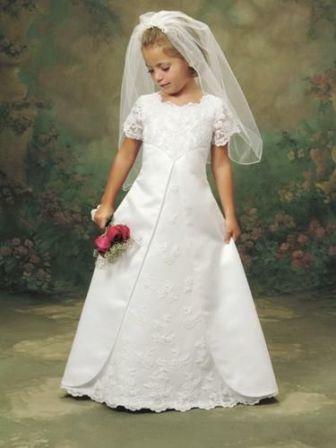 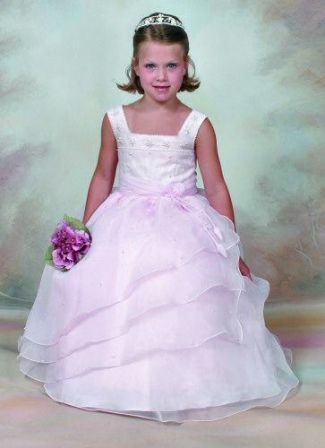 Many customers are choosing from out miniature flower girl dresses with over 419 designs.